I come from Andalucia, in the south of Spain. I did my undergraduate Degree in Physics at the University of Seville and after that a Master's Degree in Particle Physics at the University of Valencia. 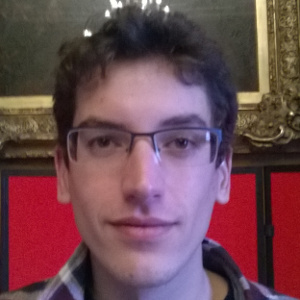 I'm currently a member of the Institute for Particle Physics Phenomenology (IPPP) at Durham University in the UK, where I'm working on my PhD under the supervision of Professor Nigel Glover. I am delighted to be part of the Higgstools Network which is a great opportunity to engage with other fellow physics students all over Europe. This is undoubtedly an exciting time for a particle physicist since the discovery of the Higg's boson three years ago, which opened new horizons in the realm of high energy physics.